In an earlier post, I discussed my early love affair with comic books. They were are part of my regular reading diet along with classics from H.G. Wells, Edgar Rice Burroughs, C.S. Lewis and the like. 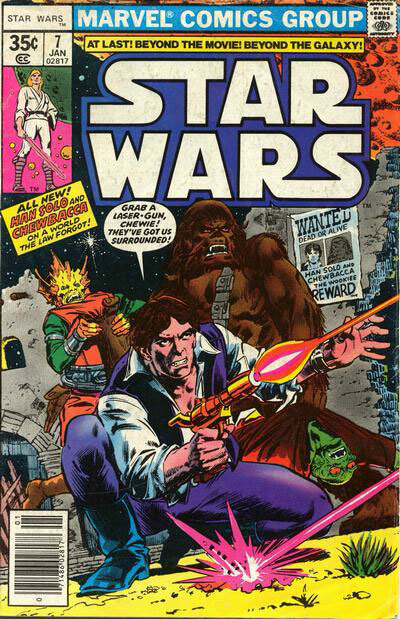 One of the earliest monthly comic titles I regularly collected was Marvel’s Star Wars which was published back in the late 70s through the mid 80s. The stories we very hit and miss, but they kept me satiated while I awaited the next big screen adventure. Luke, Han, and the Princess, now called the Star Warriors in classic Marvel fashion, would travel to strange worlds, fighting the oppression of the evil Galactic Empire. Looking back at the series for every dud there were a handful of excellent stories like the Shira Brie arc, or Luke’s frequent run ins with the Tagge family. But like all good things, Marvel’s Star Wars title came to an end, and the further adventures of the Star Warriors would go dormant for a few years. 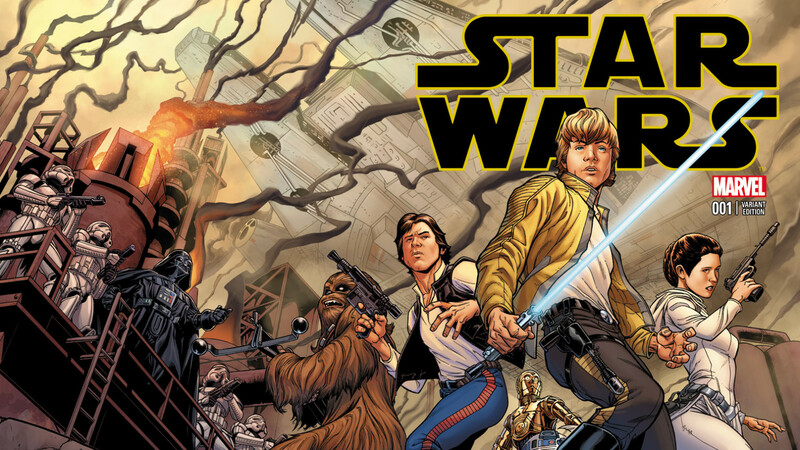 Fortunately the hiatus did not last long, and Dark Horse Comics took up the Star Wars mantle churning out a regular stream of stories over the span of 24 years. 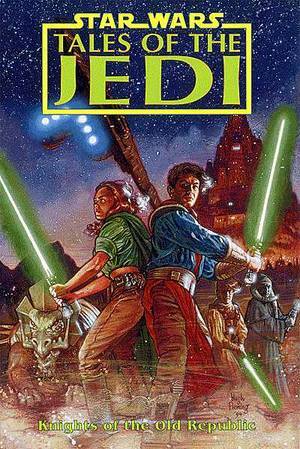 Like Marvel, sometimes they missed the mark, but by and large Dark Horse’s run was brimming with outstanding Star Wars adventure. From Dark Empire to Tales of the Jedi to Dark Times, Dark Horse always pushed boundries and explored many eras left untouched by the Saga. Many Dark Horse stories centered on the early days of the Jedi Order and The Republic, while Star Wars Legacy took Star Wars some 100 years after the end of Return of the Jedi. However, with the 2012 purchase of Lucasfilm and Star Wars by Disney, there now appeared to be rough weather ahead as Disney owned rival comics publisher, Marvel Comics. For the next two years Dark Horse dutifully continued releasing new titles, but it was becoming increasingly apparent the Star Wars licensing would be moving again… Star Wars would be coming home. 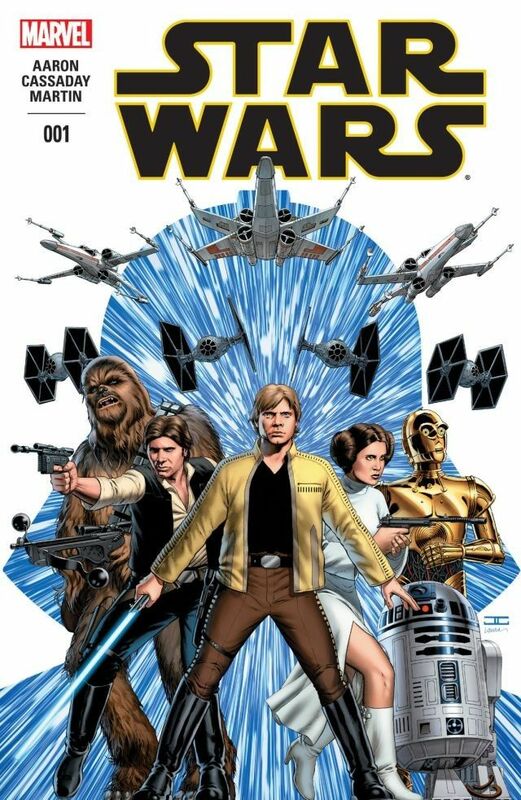 Following the release of Dark Horse’s final titles, including the very interesting mini series, The Star Wars, which was based on an early draft of the Star Wars screenplay, Disney/Marvel announced their first slate of Star Wars comics. Two of the titles, Star Wars, and Vader would focus on our heroes and villains in the immediate aftermath of the destruction of the Death Star during the Battle of Yavin. Princess Leia, would be a five issue mini series centered on Leia and her efforts to rescue refugees from her homeworld of Alderaan who escaped the planet’s destruction. Finally, Kanan: The Last Padawan would be a tie in to the Disney XD show, Star Wars Rebels. Kanan promised to explore our title character’s days as a Padawan in the Jedi Order, and chronicle just how he escaped Order 66, and took up with the Rebel Alliance. All of these titles held a certain amount of promise, and appeal to me. So rather than do a full blown review for each issue, I’ll give a brief summary of the story so far and my likes and dislikes. Two of the titles are top notch, one I’ve grown ambivalent about over the course of three issues, and one title I’ve grown very frustrated with and wonder if I will collect it beyond the first storyline. 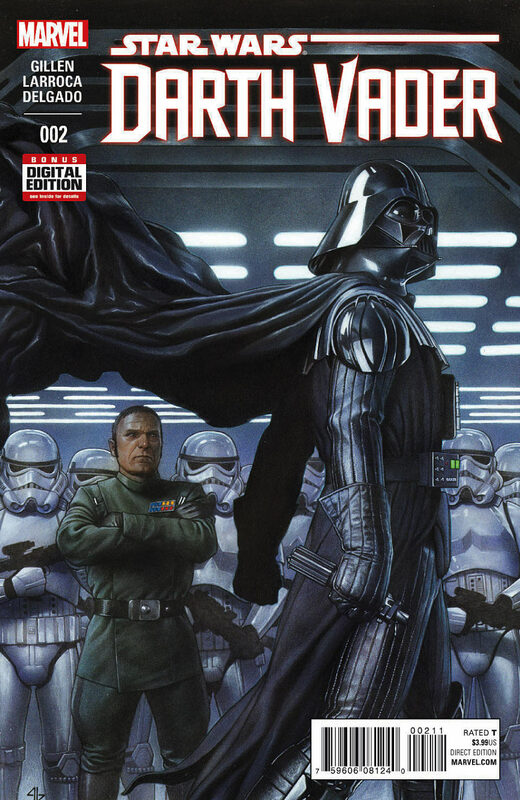 Star Wars – The first title released under the new Marvel branding, Star Wars begins strong with a riveting story by Marvel scribe Jason Aaron. Our heroes have been sent to wreak havoc on an Imperial weapons factory. The action is fast and the dialog at times seems to channel the actors performances; there are a couple of glaring missteps along the way, but Aaron keeps the story moving. There’s a great moment when Darth Vader arrives on the scene to thwart the Rebels and hopes to discover the identity of the pilot who destroyed the Death Star. Suddenly he comes face to face with Luke, but he quickly dispatches the young would be Jedi; Luke realizes he has a long way to go in his training. While the premiere issue started well enough the next two issue took a bit of a step backwards. It becomes apparent there’s very little plot in the way of this story, and most of that was presented in Issue #1. The subsequent two issues came across as nothing more than beautiful action panel after panel, lovingly drawn by John Cassaday. It’s wonderful to look at, but there’s little in the way of substance. Hopefully, the title can present a few more stories with some depth; the announcement of a flashback one-shot issue featuring Jedi Master Obi-Wan Kenobi fills me with some hope. Overall it’s a good title, I just hope there’s a little more meat on the bone down the road. Vader – Unfortunately Vader is a title in need of some direction. The story is part Vader as office lackey, part Vader as threatening Dark Lord, part soul searching, angst riddled former good guy. It would work if it could figure out which of these titles it wanted to be. As it stands the title is extremely confused and double minded. The series, penned by Kieron Gillan, tries desperately to walk this tightrope between these three versions of Vader, and what we are left with is an attempt at a post-modern deconstruction of the Dark Lord that leaves us felling neither sympathy or fear of Emperor Palpatine’s dark apprentice. Part of the problem is this title really makes ample, and I mean ample use of call backs to episodes in the Star Wars Saga. There are so many winks to classic Star Wars moments that any investment you may have felt in the story is lost as your brains replays moments from the films. In one issue Vader is in Jabba’s palace negotiating with the vile Hutt. There’s a good three pages worth of pointless panels wasted on us looking at Vader’s feet as he drifts dangerously close to the trap door Luke fell through into the Rancor pit in Return of the Jedi. Of course this kind of assumes you are pretty familiar with all of the Star Wars films. There’s even one of the more bizarre reference to The Clone Wars animated series as we meet the Geonosian Queen. 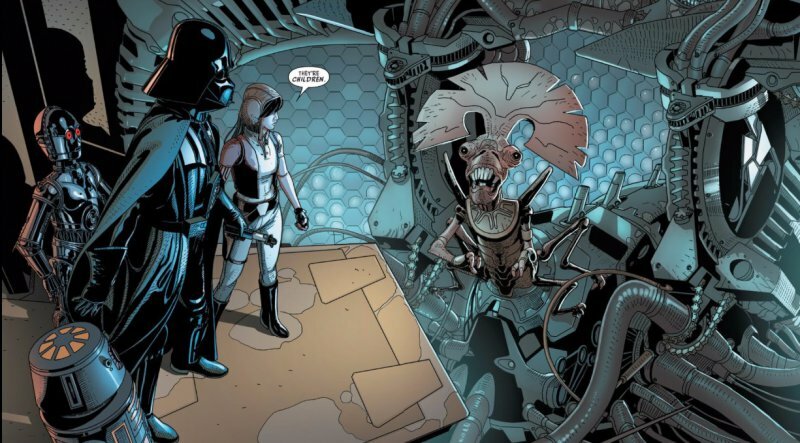 Vader is apparently needing an army to use against those who would conspire against him, and the Queen, now part cyborg is just the ticket as Vader proceeds to steal her cyborg/insect babies. It’s bizarre and feels completely out of place in Star Wars. To make matters even worse we are introduced to one of the most annoying, ill fitting character concepts in the entire Star Wars universe…. the rogue archaeologist, Doctor Aphra. My hatred of this character has only grown over the course of the two issues since her arrival. Imagine the most loathsome, computer savvy, whiney, depressed, emo, know-it-all teenager you could find in a coffee shop… that’s Aphra. Constantly juggling between moments of really wanting to help Vader, and depression over her suspicion that he will kill her when her service for him is finished; there is little to recommend about her. She comes across as a character taken from the pages of Tank Girl, or a contemporary angst teen superhero comic. She’s really a poor fit for a galaxy far, far away, and for a brief instant when she demanded Vader kill her and be done with it, I really wished Vader would have choked her out (she deserved this fate… not Padme). If it sounds like I’m being overly harsh… well I am. I had extremely high hopes for this title and it has been nothing but a let down. The art is fantastic, and there are individual moments that click, but I could not recommend this title to anyone but a total fanatic, or a Star Wars comic completist. The book simply doesn’t warrant the investment, and while it tries desperately to please everyone, it fails to do so in so many regards. Princess Leia (mini series) – Fortunately the bad taste in my mouth that was left after issue 1 of Vader was washed away by this fantastic series. 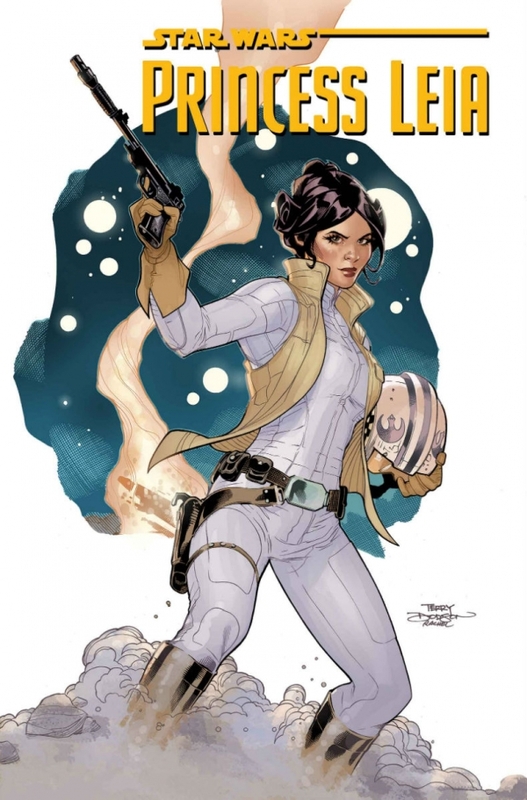 Princess Leia quickly became my favorite of the new batch of Marvel comics. Sure, the art was a little different than either Star Wars or Vader, but it had a neat kind of retro vibe which looked like some of the early materials released by Wizards of the Coast for their Battle for Theed Introductory RPG game. What really made the title stand out though was the story and the characterization of Leia. This is the Leia hinted at in the early scenes of A New Hope, before the arrival of Luke and Han. This is the Princess of the Royal House of Organa who has to exude confident leadership, but is racked with pain over the destruction of her home and the death of her family. Defying orders from the hierarchy of Rebel Alliance leadership, Leia Organa, along with Rebel pilot, and fellow Alderaanian, Evaan, escape from the Rebel Base on Yavin 4 looking for survivors and expatriates from Alderaan. Realizing her citizens may be in peril, Leia begins to take her role as the head of House Organa seriously. This eventually leads them to Naboo where a large contingent of Alderaan’s artists and thinkers live. Of course all is not what it seems and there’s political intrigue afoot. There’s even a wonderful moment in Theed City when Leia sees an artistic rendering of her mother that ties both trilogies together. It’s a fascinating moment because when we see the portrait of the Queen in her full makeup we realize that Leia shares the same duality as her mother. There’s the proper Princess of the Royal House of Alderaan, and the feisty, blaster wielding, fast talking Rebel resistance fighter. Series writer Mark Waid handles this moment with care and it is much more effective than the ham fisted Saga references in Vader. So far, Leia has been an enormous success, and sales figures have been very brisk. Hopefully this will lead Marvel to revisit the character in another mini-series. I’m not sure Leia needs her own regular monthly title, but she’s a central character to the Saga and deserves a lot more attention. Kanan: The Last Palawan – Finally, we come to my favorite Marvel Star Wars series to date. Only one issue old, Kanan was released a few weeks after Princess Leia’s debut, but the book quickly became my favorite of the new stories set in the new canon Star Wars universe. The series follows the adventures of Kanan, Jedi teacher and Rebel leader on the Disney animated series, Star Wars Rebels. Kanan Jarrus is a former Padawan named Caleb Dume who escaped the horrors of Order 66 with the help of his Jedi Master, Depa Billaba. 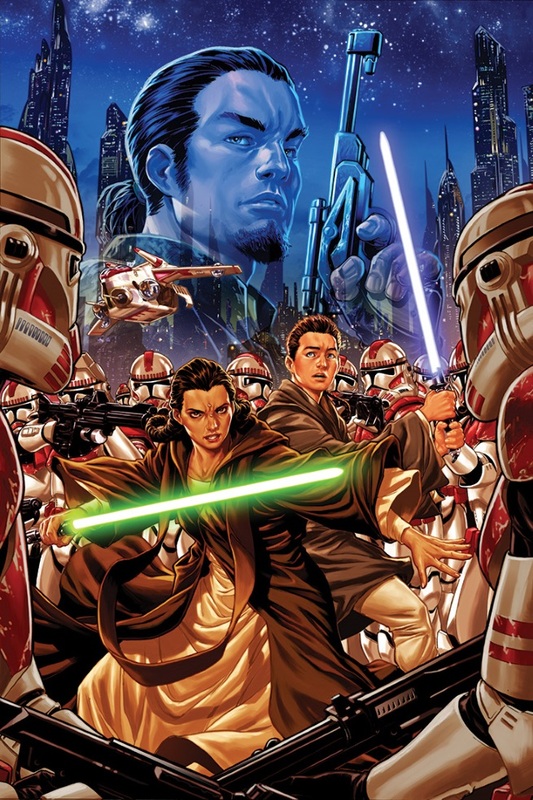 However, the first issue of Kanan begins with the closing moments of the Clone Wars, as Billaba and her young Padawan lead their Clone Troops into a final battle against the force of the Trade Federation. What makes this series work so well is the writing. The first two arcs of the series will be penned by Rebels producer/screenwriter (for the 1st Season), Greg Weisman. He has a firm grasp of these characters, and more importantly, imbues them with a reality. Although this is a fantasy series the characters feel like people you might know. There’s a wonderful moment toward the end of the first issue when Kanan is talking with some Clone Troopers about duty, and following orders. The clones relish in ribbing the young Padawan, and the writing just feels right. What really makes this scene work is that we know what’s coming in only a few pages… betrayal. The reader is left with confused emotions; we feel genuine sympathy for these clone soldiers, but we know that they will ultimately turn on their friends. It’s heart wrenching, and only a master storyteller like Weisman could pull off a scene like this. In addition to Weisman’s outstanding script, Kanan: The Last Padawan is graced with the top notch artistry of Pepe Larraz. From top to bottom this is the best of Marvel’s new Star Wars series, and will hopefully fill in some gaps of what happened during the early days of the newly formed Galactic Empire. It’s a very wide open part of the timeline now filled with new dangers and enemies for our young Padawan hero. 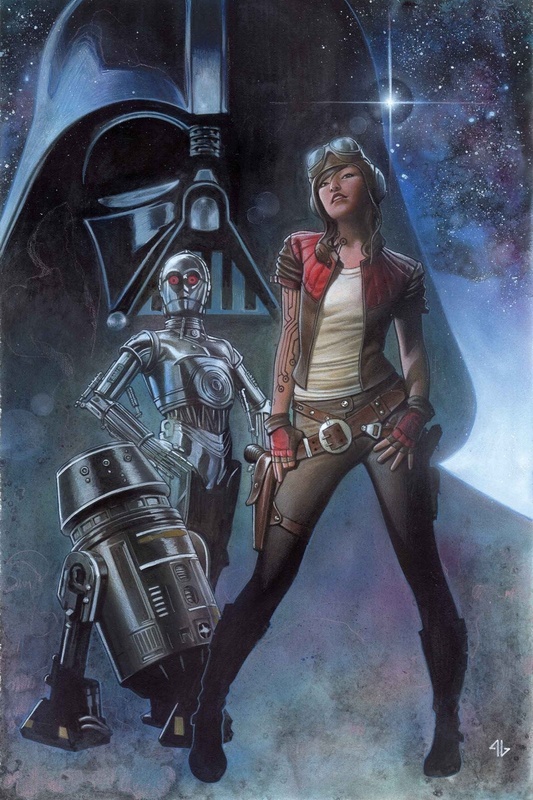 Agree with all you said , Vader issues aren’t really bad , but Aphra is ANNOYING. 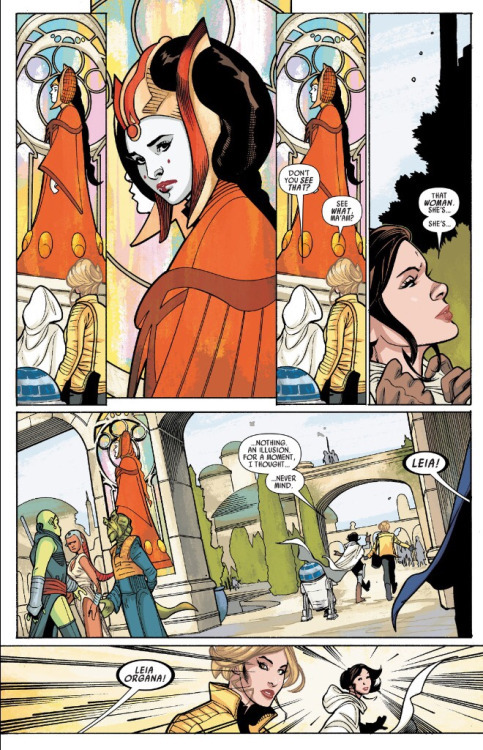 Leia comics are well written , but nothing too spectacular . 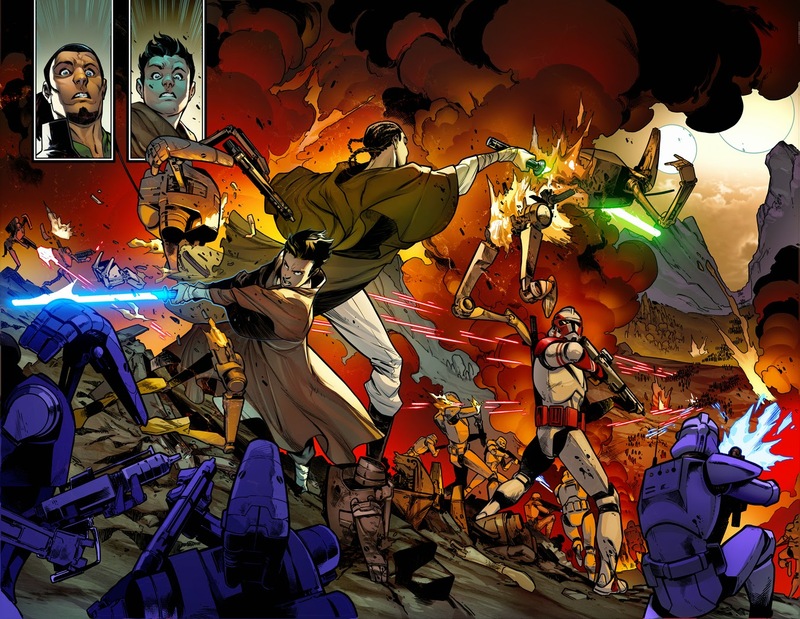 Kanan The Last Padawan really ties well with the old Legends Dark Horse Comics and Canon.